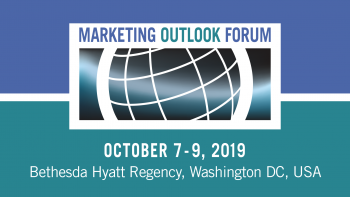 The Travel and Tourism Research Association would like to acknowledge our conference sponsors – both those who are lending their support to our current Marketing Outlook Forum and to those who have done so in the past. 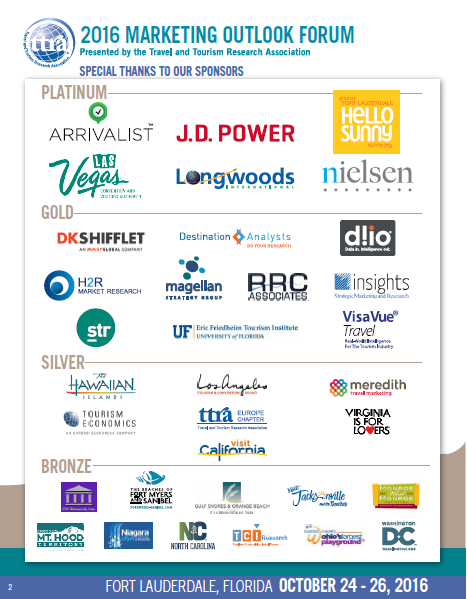 Thank You 2018 MOF Sponsors & Exhibitors! *Committed sponsors/exhibitors as of October 1, 2018, are shown. 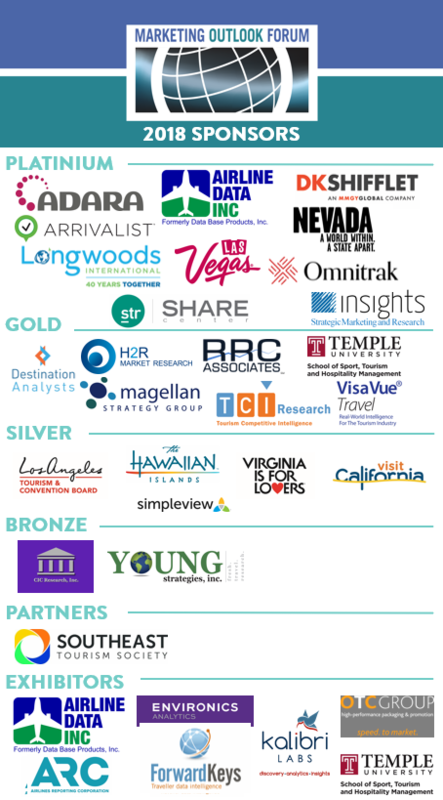 Thank You 2017 MOF Sponsors & Exhibitors! Thank You 2016 MOF Sponsors! 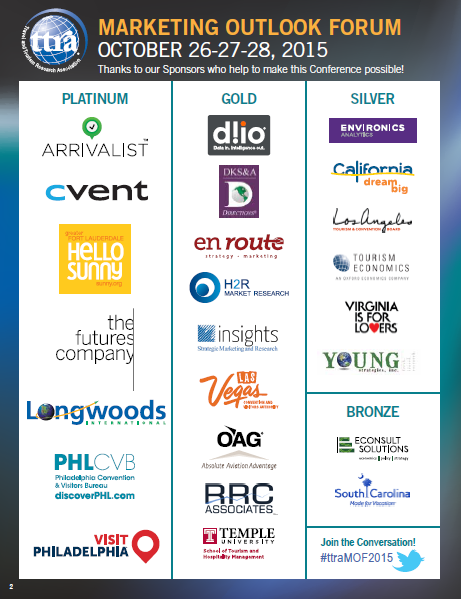 Thank You 2015 MOF Sponsors!